Your home should always be one thing: comfortable. In order to have the comfortable home you deserve, though, you’ll need to take care of a few things. Putting a couple of extra throw pillows on your couch simply won’t do the trick! No, it is time to think about your heating and cooling system. Everyone deserves to be cool during the summer months and warm in the wintertime. That is why having a stable home temperature is so important. It provides your entire family with all the comfort you desire. The truth is that few things are as important to your home as a well working HVAC (Heating, Ventilating, and Air Conditioning) unit. This unit is responsible for heating up or cooling down the air that circulates through your home, depending on the time of year. Once the air has reached the right temperature, your ductwork is used to move that air to each of the rooms. Whether you live in a house, condo, or apartment, the same is true: your home temperature lets you and your family members live well. Are you wondering why your temperature – and your HVAC unit – is so vital? Take a moment to think about the weather outside in the middle of January. Likely, it is freezing cold and there is a layer of ice over everything. All you want is to get home so you can be warm and cozy. Now try thinking about what it’s like during a heat wave in July. The sun is beating down on you and the air feels muggy. You want nothing more than to walk into your home…and into the air conditioning. It’s hard to imagine our lives without relief from the elements. Unfortunately, when you don’t have a properly working HVAC unit, those harsh temperatures are a reality. There are many reasons a stable home temperature is important. It keeps you comfortable, happy, and even makes your living space more enjoyable. More importantly, your home provides you with the shelter you need from those harsh climates. Whatever time of year it may be, a properly working heating and cooling system allows you to get away from it all. When your home temperature is comfortable, it doesn’t just make you feel good. It also prevents your entire family from dealing with temperature-related illnesses. Excessive heat during the hottest months of the year can lead to fatigue or heat stroke. Meanwhile, living with extreme cold temperatures can cause anything from runny noses to coughing and sneezing. Having a stable home temperature is essential. To make it happen, contact a professional heating and cooling company, like Heating Ontario. From Mississauga to Markham, we perform annual maintenance on your HVAC unit and take care of any necessary repairs. This gives your unit added reliability…which means it is less likely to break down when those temperatures outside are relentless! Our experienced professionals ensure that your furnace and air conditioner are ready to tackle even the most extreme weather. You deserve to live comfortably. So, always take care of your heating and cooling system. For added reliability – and an escape from the cold and heat – schedule inspection, maintenance, repairs or new HVAC installation. Remember, taking care of your home temperature allows you to take better care of your home! 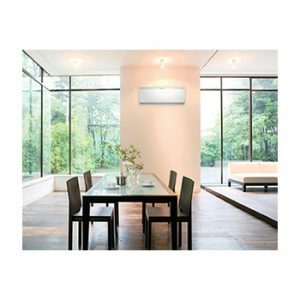 If you need more information on Heating & Cooling installation, Contact Us at: (click-to-call): 647-591-2683. At Heating Ontario, our professional and experienced staff members understand how to keep your home at the right temperature.